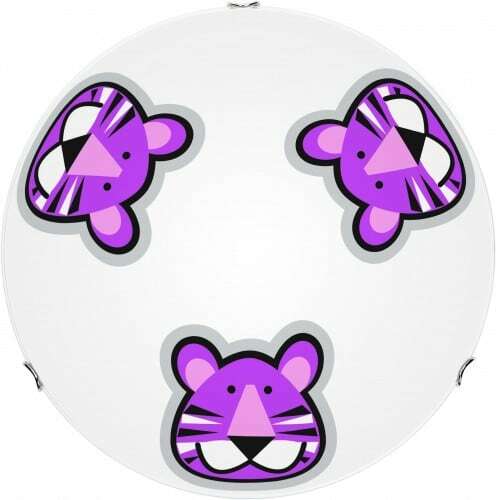 Thank you for submitting your question about Children&#39;s lamp Tygrys - plafon Lenny white / violet E27 60W 30cm. 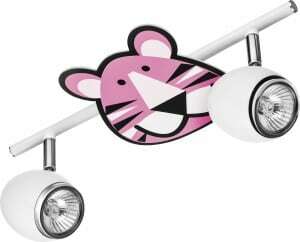 The baby lamp tiger from the Lenny series is designed to illuminate the children's room. 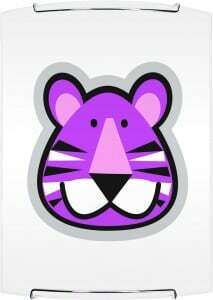 The theme of a little tiger will spur your imagination and be a nice touch in the room of our little fans of wild animals. Colorful, cheerful ceiling with a diameter of 30 cm will decorate the interior and give it a unique character. 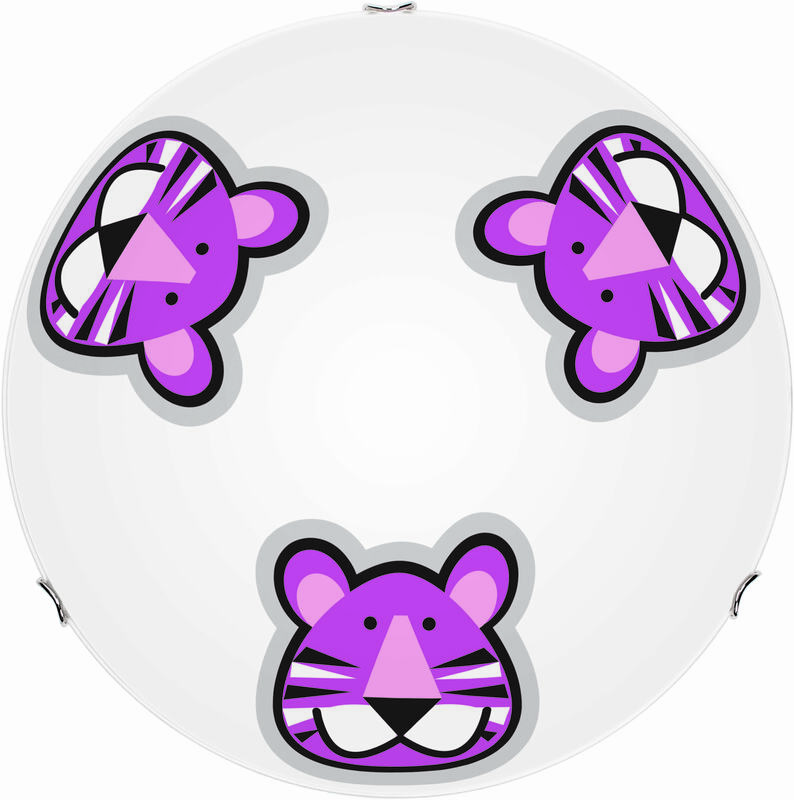 It is made of milky glass, and its finishing elements are chrome-plated metal. 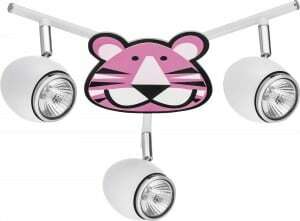 Can be mounted on the ceiling or wall. 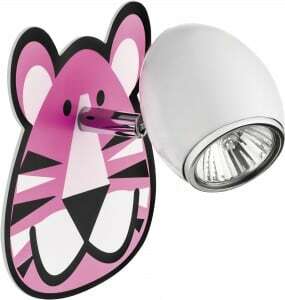 Lamp adapted to a bulb with an E27 base with a maximum power of 60W.